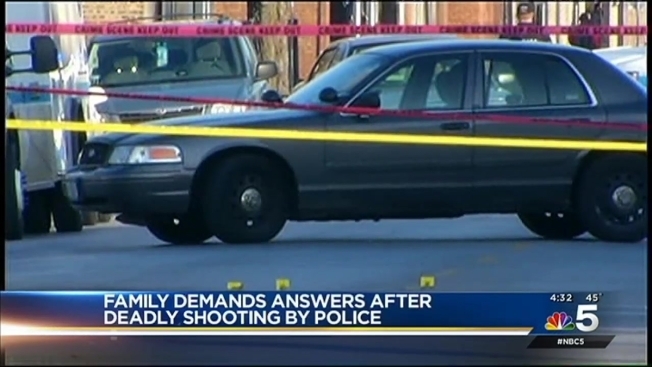 A video showing the 2013 police shooting of Cedrick Chatman could be ordered released Wednesday. The video, if released, would become the third Chicago police shooting video made public since last month. The attorney representing Chatman’s mother in a wrongful death lawsuit against the city filed a motion asking a federal judge to overrule a magistrate judge’s decision to keep the video sealed. Chatman’s mother, Linda, has said her son did not deserve what happened and the attorney said the video’s release would help promote change. “Some people may need to lose their jobs and that’s the unfortunate part of it, but we cannot keep going on the same path we are right now because this does not work for anybody,” attorney Brian Coffman said. Chatman, 17, was killed while running away from two Chicago police officers in January, 2013. Chatman was reportedly with two other individuals during a cell phone deal that turned violent. According to court records, Chatman stole a Dodge Charger and was eventually boxed in by police near the intersection of East 75th Street and South Jeffrey. Cameras mounted on a traffic signal, at South Shore High School, and at a nearby apartment building recorded different angles of the incident. According to court records, when Chatman emerged from the vehicle, one of the officers reported seeing him reach for an object before running away. The officers’ deposition revealed Chatman turned his body while running. Fearing for his life, one of the officers fired his weapon and shot Chatman. Chatman was not carrying a weapon, however, and investigators later found an iPhone 5 case near his body. The two men allegedly with Chatman during the alleged cell phone deal-gone bad, Martel Odum and Akeem Clarke, were charged with his murder, but those charges were later dropped. They pleaded guilty to robbery and unlawful vehicular invasion. The city had obtained a protective order withholding the release of the video until the conclusion of the criminal proceedings. The city then said in court papers seeking to further delay/extend that protective order, that releasing the video would make a fair trial impossible in the pending wrongful death case . U.S. Magistrate Judge Geraldine Soat-Brown last month ordered the surveillance footage of Chatman's shooting death remain subject to a protective order, stating the video was “inflammatory” and could “taint the jury pool." Coffman said the video shows Chatman running from the police, not carrying a gun or making any movements toward officers to put them in the fear of their life. “The City of Chicago is working to find the right balance when releasing videos of police incidents," the city said in a statement. "In this case, a Federal Magistrate Judge placed a protective order on the video since a civil trial is pending and the judge is maintaining that confidentiality to not taint a jury pool and ensure a fair trial for all parties.” In response to the wrongful death lawsuit, the city had earlier denied there was any cover up.